"Arvid Carlsson and his colleagues designed this device for cleaning tissue extract and isolating dopamine and other substances"1. 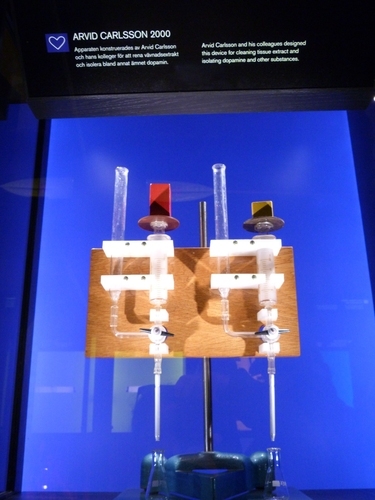 The device can be seen in a showcase of the Nobel Museum in Stockholm. 1. Retrievd for the Museum's label.